Our Student Ministries (we call ourselves Hillside) exist to teach and model for our students what it means to be a biblical disciple of the Lord Jesus Christ in a world that is filled with bad ideas and depraved behavior. We want to do this by: challenging our students continually with the Word of God, modeling and practicing living in a healthy, Christ-centered community, entering into personal, one-on-one discipleship relationships and constantly wondering about the purpose and calling the Living God has given us! 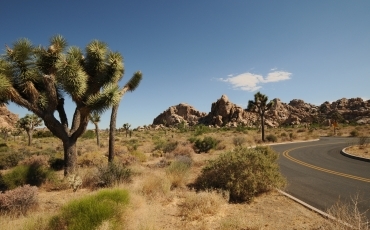 Joshua Tree camp is a weekend trip for graduating 8th graders through high school seniors. It is a time where students can learn to rock climb, explore the beautiful desert, but above all grow in their walk with Christ. This trip is always a highlight for our students as they take away lasting memories and create stronger friendships. This link will open a Google Form in a new window. Our desire is to see our junior high students “walk worthy of the Lord, fully pleasing Him, being fruitful in every good work and increasing in the knowledge of God.” (Colossians 1:10) It is our prayer that our students are falling deeply in love with the Lord Jesus Christ and building a spiritual foundation for a lifetime. First and foremost, our greatest desire is that our students would pursue a vibrant love relationship with Jesus Christ. Once a student is overwhelmed by love for their Savior so many things come into place. Holiness is not just the absence of sin, but it involves living a spirit-filled life, following and becoming more like Jesus Christ. Second, it is our desire to encourage each of our students to be personally involved in authentic Christian community. We want to deal with the real world. We are not developing a comfortable Christian climate; we are attempting to challenge them to authentic relationships and to dealing head on with their struggles and pain. All of our students are involved in small groups that we call core groups that are huge catalysts for this. Third, it is our desire that our students have a passion for the lost. Our groups are heavily involved in evangelism and apologetics training, cold-turkey witnessing and various mission trips. Jesus said, “I am the way the truth and the life, no one comes to the Father except through Me.” Even living in a postmodern world we take this statement very seriously. Teaching our high school students how to live godly lives is one of the most important jobs of a church. Students today face some of the same pressures that nearly everyone can remember: school, sports, friends, peer pressure, girlfriends, boyfriends, drugs, alcohol, and sexual impurity. Some things will never change! But today these age-old influences are combined with text messaging, wireless internet, instant messaging, and a whole host of other technologies and changes in our modern world. Our students cannot walk this journey alone. We are not striving for behavior modification in our students; we are praying that they will fall in love with our Lord Jesus Christ and enter into a deep relationship with Him. 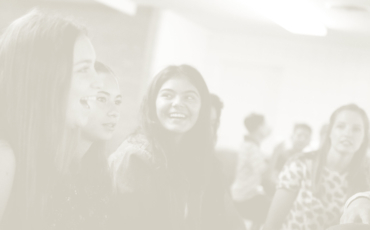 The high school group at Church of the Open Door aims to teach and model for our students what a disciple of Jesus Christ looks like on high school campuses today. Far more than merely avoiding the many pitfalls of high school, we want our students to be constantly challenged by the Word of God, to be cultivating a relationship with Jesus Christ, and to be wondering what purpose and calling the Living God may have placed on their lives.